These 55-gallon drums are one example of some of the items illegally dumped at Ogle County recycling stations. See page 2 for pictures of additional examples. The Ogle County Solid Waste Management Department (OCSWMD) has observed a dramatic increase in illegal dumping in and around the five recycling drop-off bins the past few weeks. These five bins will be removed and these sites closing in late May 2019. The bins being removed are located in Byron, Rochelle, Oregon, Monroe Center, and Forreston. Recent illegal dumping in and around these bins have highlighted an on-going, and worsening problem, with recycling in our area and the nation as a whole. These bins are not staffed and surveillance is conducted, but limited, at some bins due to their location and county resources. The OCSWMD does rely on an honest effort of residents to use the bins responsibly and not dump waste at these sites. The OCSWMD does not own these locations, and has received generous permission from property owners to conduct the recycling drop-off program since the early 1990’s. In recent weeks, county staff have removed pipes, windows, metal door hinges, metal shelving, gas fireplace piping and logs, a backyard fire pit, an animal cage, dead mice in traps, a car tire rim, metal cage material, two barrels filled with food waste and trash, pillows, lamp shades, six large tarps, and sheet metal. 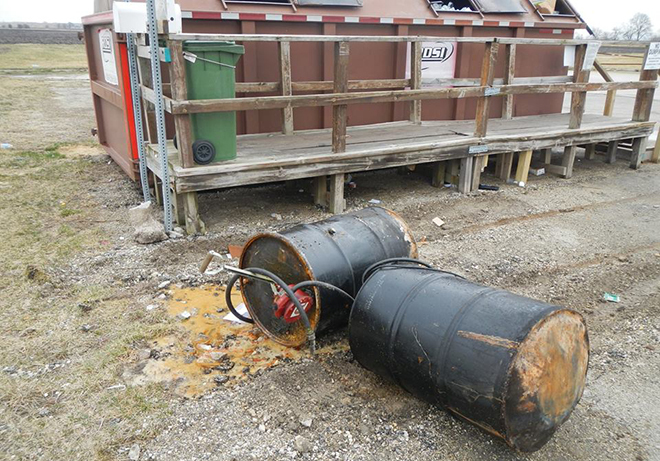 This is in addition to two, 55-gallon drums dumped at the Rochelle site which spilled unknown liquid onto the ground. County staff, along with assistance from the local Fire Department and a hazardous materials contractor, contained and cleaned up this incident. 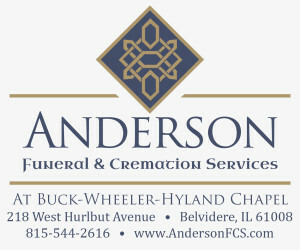 The expense to respond to this incident will be paid for by the OCSWMD and the taxpayers of Ogle County. These items are in addition to the normal contamination commonly seen in the recycling stream, such as Styrofoam, paper plates, pizza boxes, plastic bags, and food and beverage containers placed into the bins with product still in them. Please remember that recycling is to reclaim materials for new product. The more waste that is placed in with recycling stock complicates the sorting procedures and can ruin some of the stock material, usually paper and cardboard that is soiled with food waste residues or other liquid contamination. Broken glass, shredded paper, Styrofoam, plastic bags, and loose bottle caps are also examples of items that do not get recycled and have to be hauled to a landfill instead. If enough waste is placed in with recycling stock, the entire load can be sent to the landfill. All of this contamination causes recycling to be a very expensive process, resulting in the current nationwide problems with recycling programs. Items accepted in local curbside and drop-off recycling programs include all paper, newsprint, magazines, junk mail, catalogs, phone books, calendars, greeting cards, paper gift wrap, paperboard boxes, beverage cartons, flattened cardboard boxes, aluminum and steel food and beverage cans, glass bottles and jars, and plastic bottles and jugs, #1-5 and #7. Please be sure to remove product from food and beverage containers and gently rinse them, and flatten cardboard boxes and plastic jugs, then replace caps. The OCSWMD will continue to monitor markets and seek solutions to replace the drop-off recycling program. Please respect the property owners and others and avoid dumping waste in and around these bins. Please report any open dumping of waste that you may observe to the number below. If you have questions regarding recycling and other waste reduction initiatives in Ogle County, please visit www.oglecounty.org or call 815-732-4020.